Prenup Lawyer Explains: What is a Prenuptial Agreement? Both soon-to-be spouses should consult with an attorney prior to executing a premarital agreement. 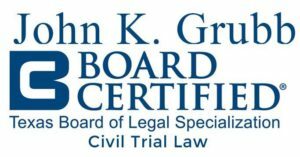 Houston prenup lawyer John K. Grubb has been representing individuals with business interests and high incomes for over 30 years. He has an MBA in business as well as finance. The below is a resource for learning about marital agreements, including what it is and how you enforce it. Many times prospective spouses have substantial assets, children from other marriages, partnership or business agreements, or other reasons why they believe it is important, before marriage, to enter into a Premarital Agreement. This agreement defines the respective rights and obligations of each party. The parties to a Premarital Agreement may contract with respect to the rights and obligations of each party and any property of either or both of them whenever or wherever acquired or located; the right to buy, sell, use, transfer, exchange, abandon, lease, consume, expend, assign, create a security interest in, mortgage, encumber, dispose of, or otherwise manage and control property; the disposition of property on separation, marriage, death, or on the occurrence or nonoccurrence of any other event; the modification or elimination of spousal support; the making of a Will, Trust, or other arrangement to carry out the agreement; the ownership rights in and disposition of death benefits from a life insurance policy; the choice of law governing the construction of the agreement; and including almost any other matter. How Do You Enforce a Prenuptial Agreement in Texas? In recent years, Texas courts have taken the position that they will uphold the enforcement of any marital agreements. Additionally, there are very few exceptions where a party can avoid the effects of a premarital agreement. As a practical matter in preparing a premarital agreement, each party to the agreement must have his/her own attorney. Are Premarital Agreements Different Than Post Marital Agreements? Yes. After the parties are married, they may decide to have a formal agreement concerning community property, separate property, the income from their separate property, and income from their community property. This is a post martial agreement. In this agreement, it is also possible to convert community property to separate property, or separate property to community property. Again, in recent years, the Texas courts have almost consistently upheld the enforcement of post marital agreements. Under very few, limited circumstances can one avoid consequences of a post marital agreement. Again, each spouse should be represented by an attorney of their choice regarding representation of a post marital agreement. Need More Info from a Premarital Agreement Lawyer in Houston? 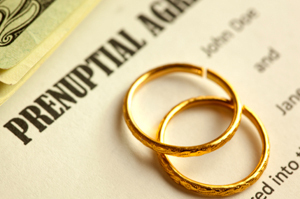 If you have questions about prenuptial agreements or premarital agreements, then contact the Houston prenuptial agreement attorneys at our firm. You can set up a consultation by calling us directly at(713)877-8800. We assist clients throughout Harris County, Montgomery County and Katy County throughout the greater Houston TX area.